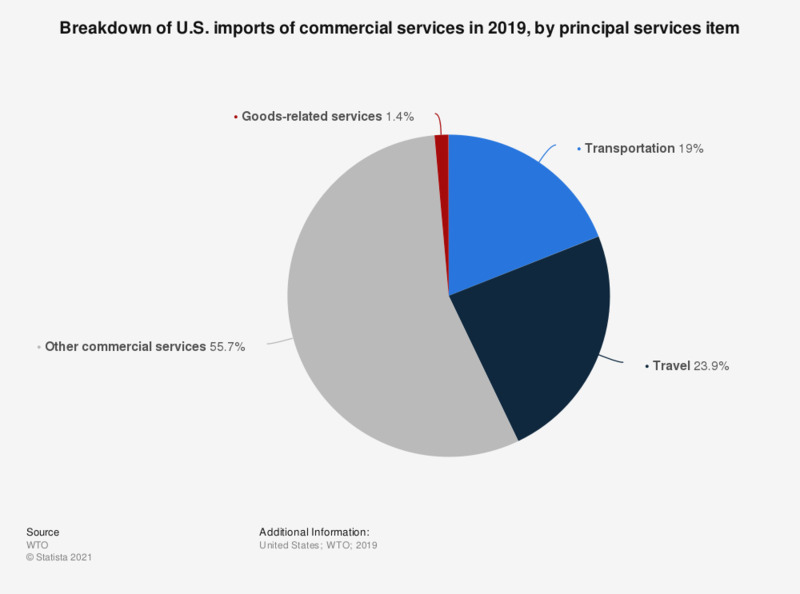 This graph shows a breakdown of U.S. imports of commercial services in 2017, by principal services item. In 2017, about 26.2 percent of all services imported were travel services. Everything On "U.S. import" in One Document: Edited and Divided into Handy Chapters. Including Detailed References.